Lawyers are all great at grammar and punctuation, right? And you’re not alone. If you sometimes need to remind yourself of the difference between a colon and a semicolon, or you mix up 'it’s' and 'its', take heart. This course will give you a handy refresher on the fundamentals, together with plenty of opportunities to test yourself and make sure you’re getting it right. 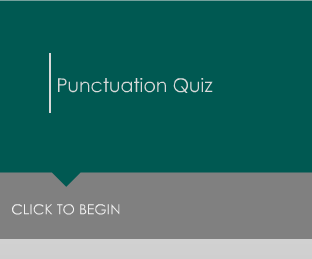 If you’re in two minds, try this quick quiz and see whether your punctuation is tip top. You can work through the modules of the course at your own pace. You can stop at any time. The next time you log-in you will be prompted to restart the course at the place you left off. Completing this course provides 1.5 hours of distance learning CPD for solicitors. Perfect for anyone working within a law firm who is looking to improve their punctuation skills. From senior lawyers to practice managers, this course will improve everyone’s punctuation.